A universally sized fall protection harness to fit a wide range of workers. 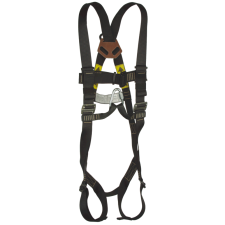 All black version of the Fall Safe Harness, designed for the stage rigging industry where workers are put in a position where they need to be of low visibility. Works well for tactical applications where a dorsal attachment is needed. 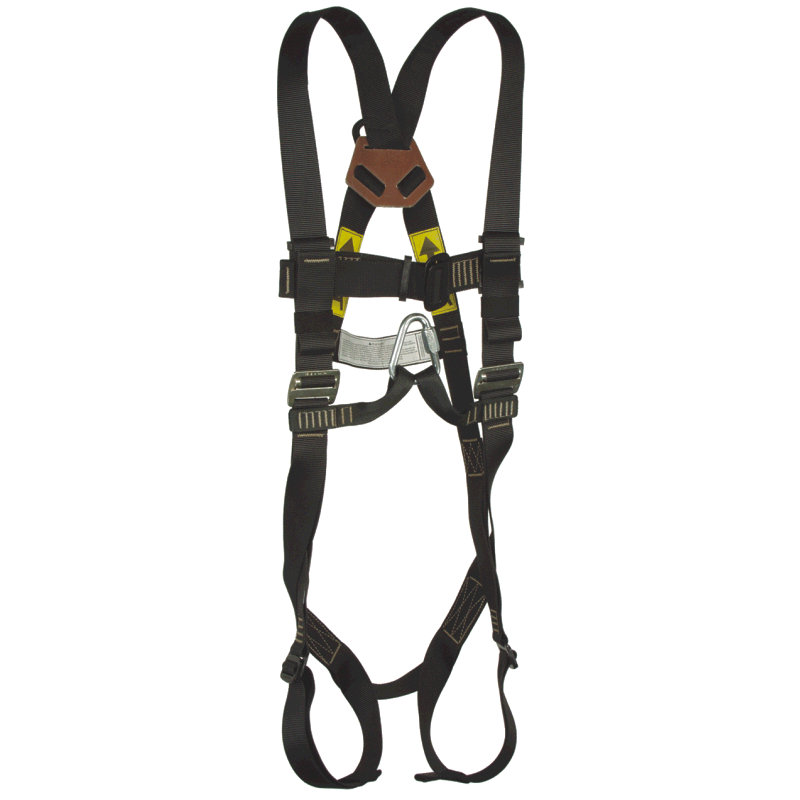 Manufactured from custom made webbing to offer a lightweight, durable harness. A resin bond agent has been added to the webbing to increase wear and durability. Universally sized for a wide range of workers. Epoxy coated, sliding back dorsal D ring, for anti-sparking compliance. Rear D ring pad prevents D ring from sliding and will not break if worker is lowered on it. Color coded, quick connect leg buckles are also epoxy coated for anti-sparking. Comes equipped with sub-pelvic strap. Sternal attachment loops can be connected with delta link (provided) for use in work positioning, ladder climbing and rescue applications. Weight 2lb 14oz. (1.3 kg).